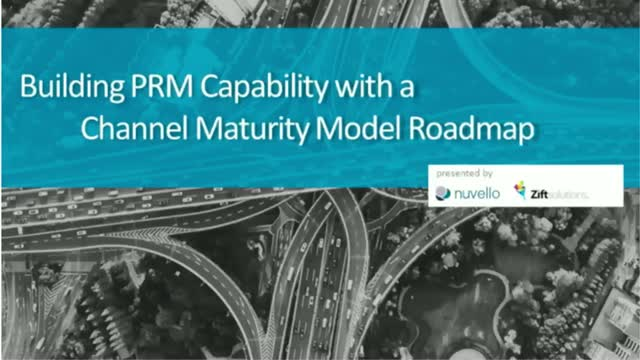 In this webinar noted analysts and channel experts, Tim Harmon, Managing Director of Nuvello, and Zift’s Chief Strategy Officer Laz Gonzalez, will provide actionable insight and best practices for aligning priorities to capture partner mindshare, drive breakthrough performance and ensure a stronger ROI with PRM (Professional Risk Manager). Most companies think they have an established channel marketing strategy, but can easily be left behind as soon as the next evolution of marketing hits. Organizations must be prepared to adapt to channel change. In order to stay ahead, it’s important to align your content, goals, and channel marketing program strategy. Zift Solutions and Oracle Marketing Cloud are proud to bring together some of the brightest minds in marketing automation and channel marketing and management (CMM) to discuss how different platforms and practices can work together to help drive revenue for both direct and indirect sales and marketing organizations. • Why is partner adoption such a problem in the channel, and what can we learn from direct to consumer marketing? • How does concierge offerings factor into the CMM process and what are some best practices when working with channel organizations? • What are real, actionable steps you can take when working with channel partners who are less marketing savvy? Zift Solutions increases channel sales and boosts marketing impact by delivering a superior technology platform, strategic insight and global channel support. Leading channel marketing organizations around the world leverage our cloud-based platform to automate co-branded marketing, empower collaborative selling and measure results with powerful analytics.